25th June 1983, a remarkable day is etched in our memories ~ as Kapil Devils beat mighty West Indies team led by Clive Lloyd and won the Prudential World Cup 1983. At that time Insurers - Prudential plc was the primary sponsors. The trophies' designs changed when the sponsors changed later. Are trophies attractive ? Liquorice (அதி மதுரம்) is the root of Glycyrrhiza glabra from which a sweet flavour can be extracted. The liquorice plant is a herbaceous perennial legume native to southern Europe and parts of Asia, such as India. Liquorice flavours are also used as candies or sweeteners, particularly in some European and Middle Eastern countries. Liquorice extracts have a number of medical uses, and they are also used in herbal and folk medications. The Paris Masters is an annual tennis tournament for male professional players held in Paris, France. It is played indoors at the Accor Hotels Arena. The event is part of the ATP World Tour Masters 1000 on the Association of Tennis Professionals (ATP) Tour. The surface used to be one of the fastest courts in the world which rewarded bold attacking tennis, but since 2011 it has followed the general slow-down of most courts on the tour. 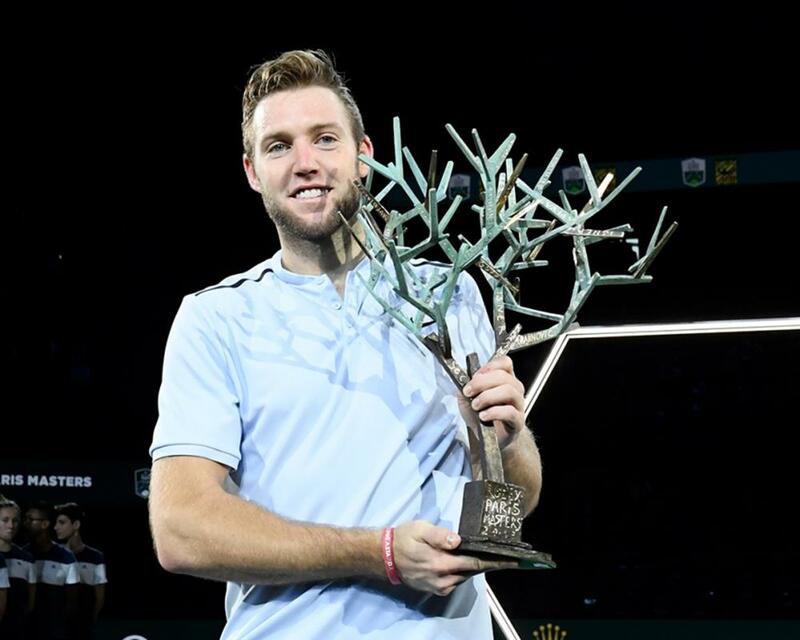 A photo of the present champion Jack Sock holding aloft the trophy attracted me to post this ! Away at Milan, during the first match, Russian Daniil Medvedev served a deciding deuce point at 40/40, 2-3. Win it, and Medvedev would force a tie-break and still have a chance to win the opening set. Medvedev eventually lost the point, and therefore the set. But the moment made clear just how much the innovations and rule changes would dominate Day 1 of the inaugural tournament, which saw a plethora of potential future changes tested for the first time on the ATP World Tour. The most noticeable innovation: no lines people were on court and an automated voice from Hawk-Eye Live called balls “out” and shouted “fault” when serves landed outside the box. For nearly 30 years, the change has flummoxed tennis companies: how to improve the accuracy of line calls with a reliable, computer-driven system. Fans and players will have to wait no more. Using ground-breaking technology, the Next Gen ATP Finals featured electronic line calling on all lines during the inaugural tournament, held in Milan. The 21-and-under tournament will mark the world debut of the technology, which will bring a series of changes to the look and feel of the on-court action. That leaves the Chair Umpire being the only match official on court, and instead of a lines person calling and signaling that the ball is in or out, an automated voice calls balls “out”. For serves, the same voice shouts “fault”. Foot faults are to be determined by an off-court official. That official will be in a booth with Hawk-Eye technicians and will use strategically placed on-court cameras to view the server from all angles. The fan-favourite challenge system will also feature a few tweaks. Since all calls will be made by Hawk-Eye, players will no longer be able to “challenge” calls. But officials are taking two steps to ensure that the new system maintains its transparency to players and continues to create exciting moments for fans – the countdown clapping and the oohs and aahs from a ball landing millimetres on the line. Calls within five centimetres of the line will automatically be shown on the video board. Review officials also will manually select which other winning shots will be shown on the big screens. “That's for two purposes: one it's to keep some entertainment in there so fans can be able to see but also to be able to show the players,” an official is quoted as saying. During the BNP Paribas Open in Indian Wells, Tommy Haas and Mardy Fish played practice sets with the electronic line calling. The accuracy of the calls was great, and hence the use of innovation ! ~ and will such changes occur in the game of Cricket ? In Paris, World number 22 Jack Sock beat qualifier Filip Krajinovic to win his first Masters 1000 title and qualify for the ATP Tour Finals. The 25-year-old American came from a set down to beat the Serb, 77th in the world rankings, 5-7 6-4 6-1. Sock, seeded 16th, is the first American to win the tournament since Andre Agassi in 1999. The Rolex Paris Masters is the ninth and final ATP World Tour Masters 1000 event of the season. The current Paris Masters trophy looks like a pile of liquorice .. yet Sock would not mind it. Now that's what I call a TROPHY! I mean you can clearly see the difference but materials can even compare with the joy of receiving it! !NO?